Bridget Berry, Greenberg Traurig, P.A. 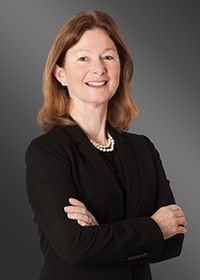 Bridget A. Berry counsels clients relating to business disputes, and advocates on behalf of clients in jury and non-jury, state and federal court actions, including collective and class actions, arbitrations and administrative proceedings. Bridget regularly counsels employers and represents local and national clients relating to: protection of trade secrets and restrictive covenants, federal and state laws and regulations; gender, age and disability discrimination claims; harassment, hostile work environment and retaliation claims; wage and hour issues; Equal Employment Opportunity (EEOC) investigations and proceedings; and general employment matters. Additionally, Bridget enjoys a robust general litigation practice. • In dispute involving litigation in U.S. and Europe against clients, affiliated companies and their officers and directors spanning a period of twelve years, obtained Florida state court jury verdict for multi-level marketing company and related nutrition supplement companies on breach of contract claims, and defeated employee's counterclaim for over $200 million in damages on fraud, racketeering, conspiracy and other claims. • Obtained state court jury verdict and attorneys' fees award for condominium unit owners against condominium association for breach of statutory and common law duties to maintain condominium property. • Obtained federal court jury verdict for $3 million in compensatory damages and an additional $1.5 million against each of three defendants in a case involving fraudulent inducement and conduct in violation of the Federal Securities Act. • Defended commercial shopping center owners in litigation brought by neighboring residential property owners, obtaining partial judgments resulting in settlement favorable to client. • Defended credit card transaction processor in action relating to merchant accounts and chargeback transactions on internet sales, resulting in settlement favorable to client. AV®, BV®, AV Preeminent® and BV Distinguished® are registered certification marks of Reed Elsevier Properties Inc., used under in accordance with the Martindale-Hubbell certification procedures, standards and policies.